add the sugar, yeast, and water together, and let the yeast proof. in other words, let it get foamy on top (this usually only takes about five to eight minutes — if it doesn’t get foamy, your yeast was bad or the temperature of your water was wrong — start over!). meanwhile, measure out the flour. this isn’t rocket science, but you’ll want to loosen the flour a bit (don’t pack it!). what i usually do is just use a small measuring cup to shake the flour from the bag into a one-cup measuring cup over the bowl i’ll be using, dumping the one-cup measuring cup when it is full. do that five times, and you'll have just about the right amount of flour. who said baking was precise? by this time, the little yeasties are certainly happy and frothy and ready to be combined with the flour. but first, mix the salt into the flour. then pour in the yeast and sugar and water, and stir it all up. you could get all fancy and put the flour in a mound, make a hollow space for the liquid, and pull in the flour from the outside of the “bowl” to combine it, but frankly you’re wasting your time. just dump in the liquid and dig in. you don’t want the dough to be very sticky (a little bit sticky is fine), but dough that is already stuck to something is just a magnet for other dough. you’ll probably want to wash your hands of the dough that is stuck to it from the early mixing (where not all of the flour was mixed in) at some point, and you should notice that less dough is sticking to your hand after that. okay, once the dough is finally kneaded (it should take about ten minutes, more or less), put it in an oiled bowl, flip it over (to coat the dough with oil, and cover the bowl with oiled plastic wrap. how do you tell when you’re done kneading? it is a very zen moment. you'll know when you’re done. or read this, but i’ve never really gotten dough that responded to that “window test” and it turns out just fine. if you really need that sort of handholding because you’re afraid of wasting five lousy cups of flour and some time, you may as well just stay over on that site. now put the bowl in a warm place to let the dough rise. if you don’t have a warm place, turn on your oven for one minute on its lowest setting, then turn it off and put the bowl in there. don’t forget to turn the oven off! after an hour and a half or so, the dough should double in size. take it out of the bowl, punch it down, and knead it for a minute or so, then put it back in the bowl. put the bowl back in the warm place, and let it double in size again. it shouldn’t take as long this time, probably only an hour. you can also skip this second rise, but it seems to make the bread better for me. after the second rise (or the first, if you’re being impatient), punch the dough down again and form it into whatever form you want your bread to be in. i usually take half of the dough, make that into four roughly bun-shaped things (submarine-style, not round buns), and roll out of the other half of the dough and cut rolls from that. be creative. you can also use a quarter of the dough to make a fine pizza crust. you can even just leave each half of the dough in one big lump to make big loaves. whatever floats your boat. meanwhile, preheat your oven to about 425° (hotter is probably better than cooler). before you (gently) put in the buns or rolls or whatever you made from the dough (on a rack near the top of the oven), put a pan of water on a lower rack. this helps get a crispier crust, or so i’ve been told. bake for twenty minutes or so. in other words, set the timer for fifteen minutes, and then keep checking (without opening the oven too often) to see if they look done. you can also tap on the bottom of any larger pieces of bread, and if they sound hollow, they’re probably done. if you want to get fancy, you can coat the rolls in egg before baking, which gives them a nice shiny, crispy crust. to get super-duper fancy, after coating the sandwich buns with egg (or skipping the egg), use a sharp knife to cut into them along their length, and drizzle some melted butter in the cut. but be careful, you don't want to squash the dough too much after it has risen for the last time. once the rolls or buns or whatever you made are done baking, take them out and let them cool (at least enough so you don't scald yourself when you enjoy the fruits of your labor). they freeze really well, if you're not able to consume all that bread in one sitting. have fun. if you screw up a batch, remember that you've only wasted something like a dollar in ingredients, and you got to play in the kitchen. here’s how i got my turkey today, or at least here’s the old version of the turkey chili recipe i vaguely follow. all amounts are approximate, and all ingredients are optional. if there’s an ingredient you don’t like, don't use it. if there's one you like a lot, use more of it. combine the turkey, onion, and peppers in a medium-sized saucepan (about 3-4 qts.) over medium-high heat. after a couple of minutes, add the garlic and jalepeño peppers. cook until the onions are translucent, the turkey has cooked, and the peppers have softened up. turn down the heat a bit, and pour in the corn, tomato sauce, and water. if you can get fresh corn, that's even better than the canned stuff. just cut the kernels off an ear or two (and scrape out the 'milk' from the cob!). add the spices. this where you really get to play around. those amounts are very approximate. i’ve never measured. the carroll shelby chili mix is also a fine way to eliminate the guesswork, but that’s not nearly as much fun. simmer for about fifteen minutes, stirring often. add the beans, and simmer for another five to ten minutes. remove from heat. eat. enjoy. i can’t believe i have never shared this one before. and now i have bananas on the brain for some reason. preheat oven to 350°F and grease (or butter) loaf pan. cream butter and sugar. add eggs, bananas, and vanilla. fold in sifted dry ingredients. add nuts. 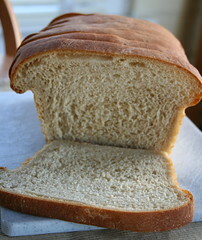 bake in loaf pan for 1¼ hours or tests done (by inserting a toothpick into the center and having it come out clean). let cool in pan for 10 minutes. turn out and let cool completely. * i often substitute ¾ cup white sugar and ¼ cup molasses for the brown sugar. i was going to post my basic pancake recipe, but it turns out that i already have. looking forward to making pancakes on the weekend is one of the things that gets me through the rest of the week. recently i’ve cut down the amount of flour (to ¾ cup) and milk (who knows by how much — it’s an add-until-enough ingredient). heat olive oil over medium-low heat. add onion, garlic, and jalapeno or pepper flakes, and cook until onions are translucent, stirring frequently. add rice, salt, and pepper, and stir to coat rice with oil. add cold water and turn up heat to bring to boil. turn heat back down, add black beans, and cover. simmer until rice is done and water is absorbed (about twenty minutes). remove from heat and let sit for a few minutes before serving. combine the flour, salt, and shortening. mix thoroughly. add water, and form into slightly sticky dough. divide into four parts and roll into balls. cover and let rest for at least fifteen minutes. roll out each ball until less than ¼" thick. heat on a warm griddle or skillet until it has puffed up and lightly browned on bottom, and then flip and lightly brown on the other side. cover with a towel, and serve as soon as possible. makes four tortillas. recipe can be doubled or tripled for more tortillas. rinse beans and soak overnight in water (six to eight cups). after soaking, bring beans to boil, remove any floating beans, and add spices. turn heat down and simmer until beans are tender (anywhere from one to two hours), adding water as necessary to keep beans submerged. remove bay leaves when finished. i make this at least every weekend, and sometimes during the week, too. this is so easy, the only acceptable excuse for pre-made pancake mixes are specially dietary reasons. this is a low-yield recipe: about four CD-size pancakes. it can probably be doubled (or tripled, etc) for more. Put non-stick skillet (or griddle) over medium-low heat. Mix the milk, egg, and sugar in another container. Pour liquid mixture into dry ingredients and stir. Add milk if batter is not pourable. Pour batter into skillet to desired pancake size. After about two minutes, flip. The top of the pancake should have bubbles breaking on the surface when it is ready to flip. Knowing when to flip takes practice, but you can’t screw it up too badly. You can use your spatula to peek under the edge to check before flipping. Remove after one more minute (or so) on the other side. if your pancakes are turning out a little bit uncooked in the middle, it means the batter was too thick. add more milk next time! this is based on the pancake recipe in how to cook everything by mark bittman.